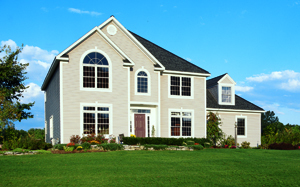 Vinyl siding is a popular choice for homeowners in Pensacola, Florida, and surrounding communities. It can enhance the curb appeal, energy efficiency, and durability of your home, forming a resilient barrier to protect your home from the elements. Majors Home Improvement is a local, family-owned company serving the Panhandle area, and we are proud to install siding from Norandex, a leading manufacturer in the industry. You can expect durable vinyl siding that will resist peeling, chipping, denting, fading, and cracking, requiring very little maintenance throughout the years. Plus, our siding is available in a wide variety of popular colors and wood grain textures, ensuring you’ll find an option that beautifully complements your home’s exterior. When you hire Majors Home Improvement for your vinyl siding project in Pensacola, you’ll receive precise installation services from our team of expert technicians, who have been factory trained and adhere to strict customer service guidelines. They will be respectful of your home, considerate of your plants and pets, and maintain a clean jobsite throughout the project’s duration. What’s more, because we fully believe in our products and installation procedures, you’ll receive a warranty for parts and labor, ensuring your investment is completely protected. If you’d like to learn more about the vinyl siding products we offer for homeowners in Pensacola, FL, and the surrounding areas, contact Majors Home Improvement today.